What a beautiful day! Fresh pink breeze everywhere. 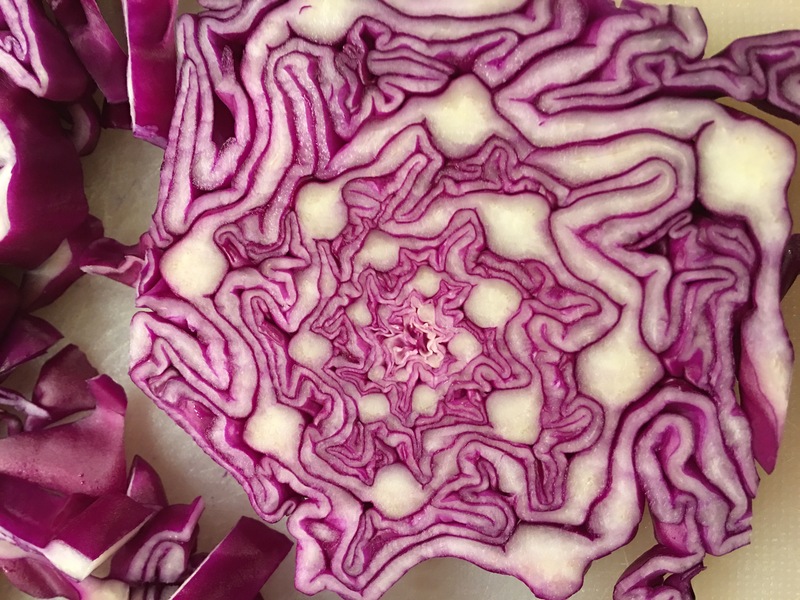 Chopping my red cabbage with real delight, with an eye on news reports from Washington and other places around the world.